A booming organ thundered through Christ Church Cathedral in downtown Ottawa on Sunday as those at an interfaith memorial service sang a heartfelt O Canada following the past week’s deadly shooting attack in the heart of the capital. 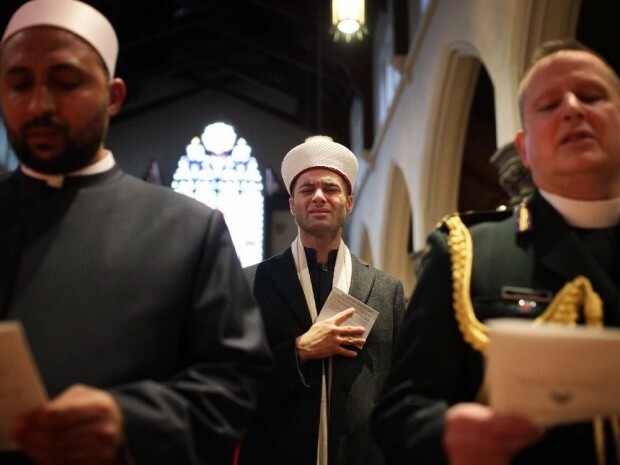 Leaders of Jewish, Muslim and Christian faiths all spoke at the service, dubbed A Prayer for Ottawa. Observers of all ages, some in military uniforms, filled the pews. Rabbi Barry Schlesinger said Jewish scripture denounces the killing of one person as a mortal wound to society as a whole. Imam Samy Metwally made a similar condemnation of violence. All urged optimism and resolve in the face of senseless bloodshed. I remain skeptical of the worth of interfaith events such as this, even if the individuals truly believe what they are saying (and I cannot but help mistrust Muslims—there have been too many cases of deception: saying one thing English and quite another in Arabic). But even if all participants are sincere it does absolutely nothing to address the problem of Islamic State and the violent, intolerant version of the Koran that inspire them.